Industry experts have raised concern that the construction industry is experiencing a shortage of skilled workers, with City & Guilds revealing that 87% of employers last year were already finding it difficult to recruit the skilled workers that they need. According to Construction News, official figures show that 12.6% of UK construction workers come from overseas, with 5.7% originating from the EU. This rises to a staggering 60% in London. Furthermore, 30% of British-born construction workers are now over the age of 50, meaning businesses will feel the pinch of those departing over the coming years through retirement when Brexit comes into play. However, some experts believe that apprentices could be the key. Apprenticeships could be more crucial than ever before, especially following Brexit. Nation Apprenticeship Week was at the beginning of March, and with an influx of publicity circulating, it has encouraged employers to think about the future of their workforces — could apprentices fill the employee shortage? Niftylift, retailers of work platforms, investigates further. Engineering and Manufacturing, and Construction, Planning and the Built Environment are within the top five sectors for apprenticeship starts. In the 2016/17 academic year, the Engineering and Manufacturing sector witnessed 74,000 starts, while the Construction sector had 21,000. Leading UK housebuilder, Redrow, released its second annual research report which revealed that, thanks to a positive shift in attitudes and the perception of construction, the apprenticeship pathway has improved, with a 14% increase in young people considering a career in the sector. Speaking on the report, Karen Jones, Group HR Director at Redrow, said: “This year’s results illustrate that apprenticeships and careers in construction are being viewed in a more positive light. Thanks to the new apprenticeship levy introduced last year, success for apprenticeships is expected to continue as the levy brings with it a new way of funding apprenticeship programmes. Whilst some employers have snubbed the new levy as just being ‘another tax’, both large and small employers can benefit from the fund, meaning that 90% of apprenticeship training costs are funded by the government. Furthermore, employers within the construction sector can use up to 10% of the funding to train employees across the full supply chain — something not to be snubbed with the current shortage in skilled workers. 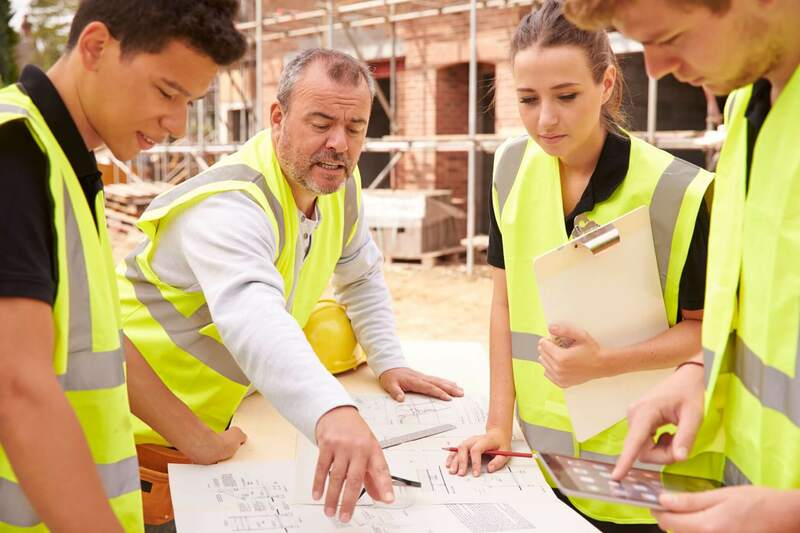 According to UK Construction Media, apprenticeships are delivering the goods — as a huge 86% of employers say that apprenticeships are helping them develop skills relevant to their organisation, and 78% believe they help improve productivity. Looking towards the future, apprenticeships could hold the key to success and fulfilling the demand in the construction industry. Downing Street has committed itself to creating three million new apprenticeships by 2020. The construction industry could be on the receiving end of a large chunk of those programmes, which will be an opportunity to deliver a new generation of highly skilled workers — something that the industry is experiencing a lack of right now. In fact, the Director of the National Apprentice Service, Sue Husband, predicts that 2018 will be crucial for programmes. As more opportunities become available, now could be the time to cut yourself a slice of the apprenticeship programme success — and secure your future workforce now.